When Don Davis started working at Delaware Christian County School, his head of school began to encourage him to further his education in school leadership. It was through this mentorship, encouragement and prayer that in the fall of 2013, Davis started his journey towards his doctorate. Davis chose to pursue a doctorate in educational leadership from Johnson University in Knoxville, Tennessee. This program offers an emphasis on faith, excellence, diversity and allowed Davis to maintain a balance between work, education and most importantly, his family. In addition to substantial research and reading, Davis conducted research of his own to develop his dissertation. His hypothesis? That school culture will have a positive impact on student retention in private schools. Davis conducted research on 31 different private schools across 17 states. “I have a huge heart for the sustainability of Christian education. An important part in sustaining enrollment is the retention of current students.” Davis defended his dissertation this April thus earning his doctorate. 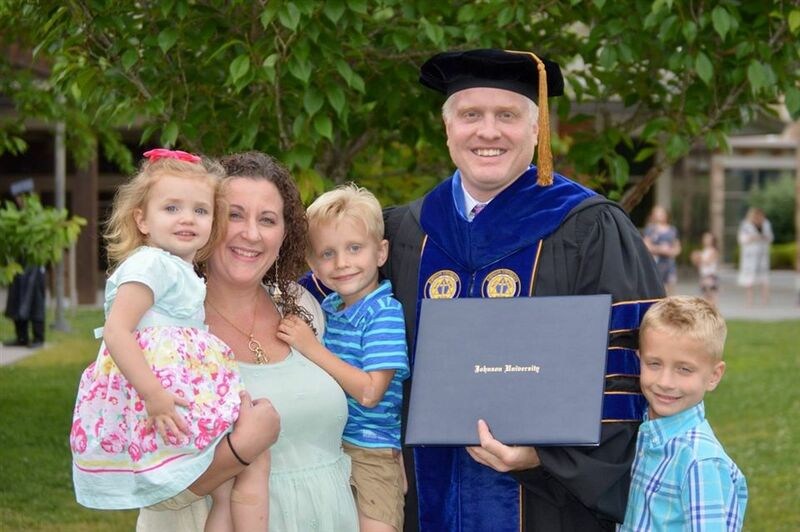 Please join us in congratulating Dr. Don Davis!